Buy Mardi Gras Abelia online. Mardi Gras Abelia is characterized by its compact growth habit. 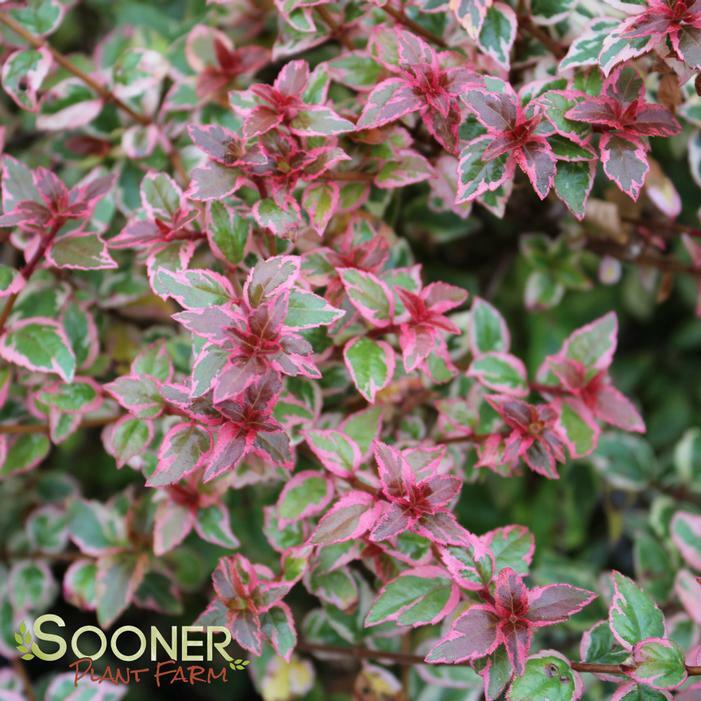 It showcases awesome green and white variegated foliage that shows traces of pink coloring on young leaves. It blooms beautiful pink-white flowers in Spring, Summer, and Autumn.